"We talked about going 1-2-3 like the guys did outdoors (in the 1500). Going 1-3-4 is pretty close. I'm still in shock." 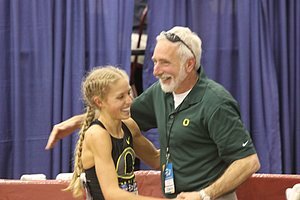 - A thrilled Jorday Hasay who a day after getting outkicked in the DMR came back to lead Oregon to a 1-3-4 finish in the mile before becoming a legend in the 3000 by turning the tables on a fresh Sheila Reid to take home her second NCAA win and lead the Oregon women to a romp win - erily similar to Galen Rupp's heroics from two years ago. Verzbicas 14:06i High School Record! 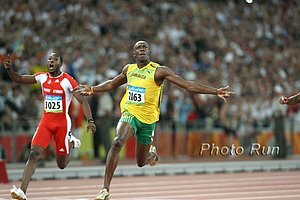 Day 2: LRC 3ks: Hasay Becomes a Legend, Heath Unleashes His Legendary Kick As of Fri. night, Jordan Hasay was viewed as the former teen prodigy who couldn't quite kick for the big one in college. Now, just as was the case for Galen Rupp two years ago, she is college distance running's biggest star as she won the mile and then came back in the 3k to make herself into a legend by turning the tables on Sheila Reid. Stanford's Elliott Heath's kick was even more lethal as destroyed a super talented men's 3k field over the final 140m. Includes last lap video coverage. 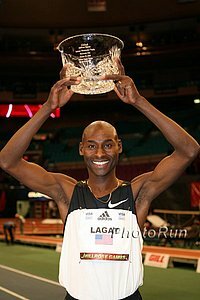 Day 2: LRC Mid-D: Hasay Gets Title #1, Batty Gets Title #2, Fred Samoei Wins a Nailbiter, and BYU's Bleazard Dominates After being outkicked in the DMR on Fri. night, Jordan Hasay outkicked the competition to grab her first NCAA title as BYU's Mile Batty completed the double in the men's mile as he held off a spirited challenge from Tulsa's Chris O'Hare. The men's 800 featured the best finish of the night as Michael Rutt's bold move to the lead 400 meters in almost held up. 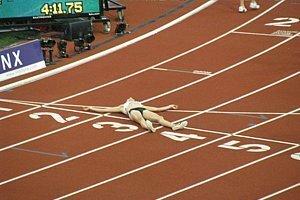 In the women' s 800, BYU's Lacey Bleazard won her 2nd indoor title - it's a shame the ESPN3 announcers had no idea who she was. Includes last lap video coverage. More: News: Mixed Results From Oregon - Women Set Stage For National Title As Men Have Horrendous Day Led by a WR in the penthathlon, the Oregon women had a tremendous day. For the men, it was a disaster, as #1 seed Elijah Greer vomited and didn't make the 800 final, Luke Puskedra was lapped in the 5k, Mac Fleet went out in the mile and the DMR dropped the stick and lost a shoe. More Women's News: Even Without Kosinski, Vin Lananna Thinks Oregon Women Can Win We do as well. Nice to see that Brianne Theisen wants pentahlon record without asterisk. *RR: Meet UF Freshman Sensation Cory McGee The 2010 Millrose champ is seeded #4 in the ladies' mile after winning SECs by more than 5 seconds. More Men's News: Favored Florida Men Focused On Getting Better, Not Repeating If they get better, they will win the meet in a blowout. US 15k: Mo Trafeh And Jen Rhines Win US 15k Titles In Jacksonville Ben True, the guy who arguably had as much talent as Galen Rupp in high school (True skied in the winter, Rupp trained like a pro), continues to improve and was second on the men's side. 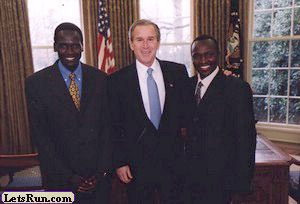 *Recommended Read: Profile On Edward Cheserek, Who Will Race Lukas Verzbicas In HS Indoor Nationals 2 Mile Edward Cheserek finished runner-up to Lukas Verzbicas at Nike Cross Nationals and has some legit PRs (14:30 5k and 29:30 10K). Verzbicas ran 8:43 earlier this year, taking a close shot at Gerry Lindgren's 1964 indoor record (8:40.0). With these two in the same race and Cheserek's tendency to take out 1,600s in 54, this will definitely be a race to watch, and Lindgren's record is in serious jeopardy. March 10th Yellow Page Series 5k Kgosi Tsosane and Steven Mokoka (5th and 6th at Sunday's African XC Champs), Xolisa Tjali (2009 SA XC Champ), and SA record holder Shadrack Hoff (13:14.16) headline field. Hoff went on record saying he will show these "young pups" how to run a 5k. *Season Opener For Olympic Long Jump Silver Medallist Khotso Mokoena He will open with the LJ, but looking ahead he wants to double Long and Triple at World Champs. Noriko Matsuoka Is Ready To Finally Make Her Marathon Debut At 31 Years Old Noriko Matsuoka will debut at Nagoya International Women's Marathon and fight for one of the last spots on Japan's World Champs marathon squad. In 2001, she was a promising young talent dreaming of making an early marathon debut, but she was hit by a cyclist and seriously injured, with broken bones all over her body. 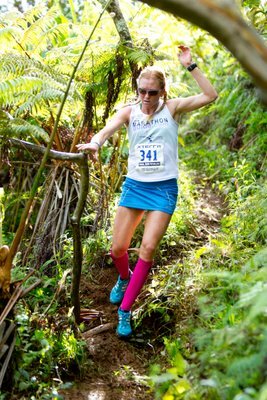 Even after recovering, she still had chronic lower back problems and only now, 10 years later, has she been able to build herself back up to being ready to run the marathon. 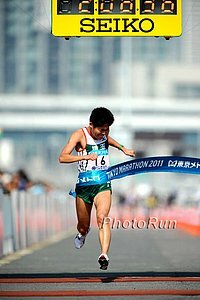 Japanese Federation Tells World Championships Marathoner Hiroyuki Horibata To Go On Diet Is 6'3" and 160 lbs. really too big? Someone needs to send a memo to the Japanese and remind them it didn't stop him from running a 2:09:25 marathon and also let them know that Chris Solinsky is also 160 lbs. while only being 6'1". 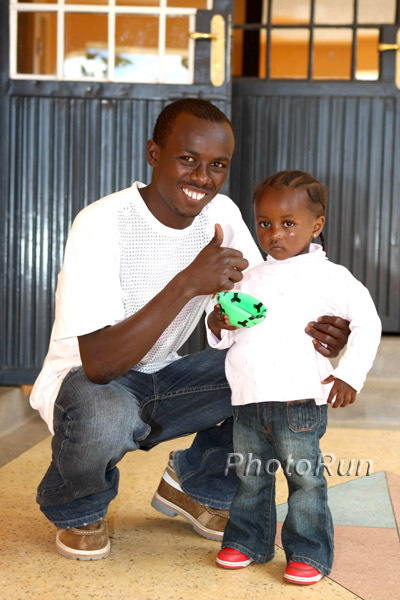 Africa XC Champ Mercy Cherono Is Disappointed She Didn't Make The Kenyan World XC Squad, But Is Looking Ahead To World Champs In Daeugu She's now focused on the 5k where her PR is 14:47.